Happy Christmas everyone! I’ve picked 2 undemanding festive reads this week, as I for one am already finding my brain overtaxed – I blame all the twinkling lights. To start, the irresistably titled Christmas With Dull People by Edwardian satirist Saki (republished this year by Daunt Books). This is a perfect stocking filler: 4 stories amounting to 48 pages, little bite-sized witticisms for when your brain is dribbling out of your ears trying to comprehend the inanities of Christmas telly as your stomach tries to digest a week’s worth of calories in one sitting. The stories are so short I just want to give you a wee taster of what to expect, I can’t really say more or it will amount to paraphrasing the whole thing. Saki is wonderfully witty and contained but it does make the stories hard to review! In the first story ‘Reginald’s Christmas Revel’ the titular man is trying to get through Christmas games with his relations. We leave Reginald for ‘Bertie’s Christmas Eve’ in which Bertie, who “had in early life adopted the profession of n’er do well” treats his whole family appallingly in a farcical fashion. I hope this has given you enough of an idea of Saki’s wit and humour to convince you. A real treat, and calorie-free to boot! Secondly, Arrest the Bishop? By Winifred Peck (1949) which I picked up after reading Ali’s review. This is a lovely golden age mystery set in 1920, at Christmas time, although the festivities are not lingered over. Despite their biases and their motley crew of suspects, of course they get there in the end. To be honest, the murderer is completely obvious, but this was part of the fun. I could just watch the investigation play out and enjoy this good-natured golden age mystery as a perfect comfort read for this time of year. After last week’s moany post, I have survived both work dos and I am in the Christmas spirit – joyeux noel! I think I’ve eaten that plum pudding. Of course, Poirot is on top of everything and speedily resolves murder, mystery, missing jewels and that most pressing of seasonal considerations: is the plum pudding safe? Secondly, again the titular story of a collection, this time Christmas at Cold Comfort Farm by Stella Gibbons (1940), set in the time before her famous comic novel, and so the Starkadder family are in full disarray. Gibbon’s driest humour is saved not for the family but for those around them, such as the vicar who has been guided to pay a Christmas Eve visit by the crate of British Port-type wine he saw being delivered to the farm (surely there’s not enough port wine in the world to get you through a festive visit with the Starkadders?) 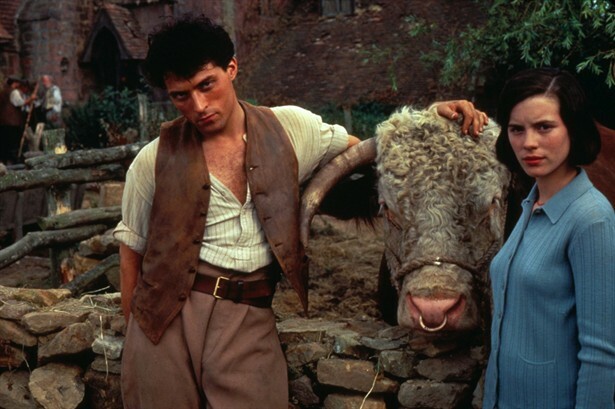 If you enjoyed Cold Comfort Farm there’s much to relish in this brief visit to the family. A treat. If you are already baulking at the thought of spending several days trapped together with your dearest loved ones, a selection tin of chocolates and a turkey that never seems to end despite the fact that everyone somnambulates around with its half-masticated flesh hanging from their mouths for at least twenty hours in every day, then take heart. Being trapped together in country houses has provided some wonderful material for Christmas reads, and escaping into one will prevent you killing off your relatives (which I wouldn’t recommend anyway, because you are, in crime-story parlance, part of a closed circle of suspects and you’ll definitely get found out). So there you are, if you find yourself sitting around on Christmas Day gazing at your loved ones and suspecting them of murder, it’s probably best to distract yourself with an intellectual pursuit or a long walk. Besides, I guarantee they almost definitely didn’t kill anyone. Secondly, Christmas Pudding by Nancy Mitford (1932, the lovely edition above is by Capuchin Classics, 2012), in which no murders take place despite a family being holed-up together in a country house for the season. This being Mitford, the family and assorted hangers-on have names like Bobby Bobbin, Lord Leamington Spa, and my favourite, Squibby Almanack. Christmas Pudding is just such a joy – a silly, farcical, witty, clever, well-observed joy. There’s a plot of sorts: pretentious author Paul Fotheringay wangles his way into Compton Bobbin – “one of those houses which abound in every district of rural England, and whose chief characteristic is that they cannot but give rise, on first sight, to a feeling of depression in any sensitive observer” – under false pretences of being a tutor to the mercurial Bobby, and finds himself vying with Lord Lewes for the romantic attentions of Philadelphia Bobbin. But really, who cares? The fun of this novel isn’t in what happens, it’s in Mitford’s sharp observations “a woman had either a good reputation or an international reputation” and ridiculous characters interacting with one another.